With camp breaking on Sunday for an exhibition in Washington on Monday, the New York Yankees will likely be forced to decide on a final position player spot in the coming days. 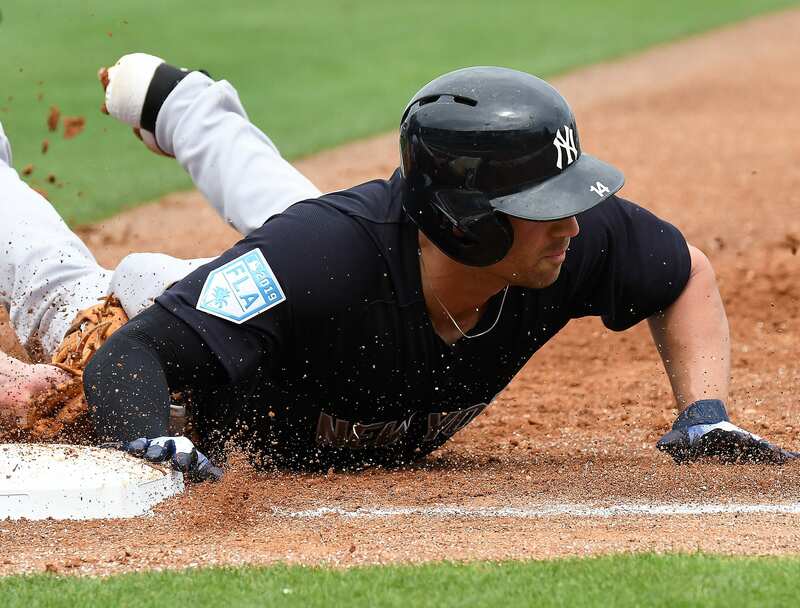 Aaron Hicks going down with the injury makes it look as if both Luke Voit and Greg Bird will be on the opening day roster, but nothing is 100% yet. However, two players are fighting for a roster spot indirectly, in Tyler Wade and Clint Frazier. Tyler Wade has had a way better spring, and has a lot more versatility, making him a better fit on the roster. Frazier still has some work to do on the little things, but should still see time in the big leagues as the 26th man, for injuries, and come the roster expansion in September if healthy. Tyler Wade is a very versatile infielder that can play some outfield who has been raking this spring. He has bat .333 with a home run, and his slugging percentage is at .571. Wade is also very speedy and has stolen three bags so far. His fielding skills are above average, and is primarily a middle infielder but played centerfield for the Yankees last season on a few occasions. His versatility is what the Yankees love, knowing they can plug him into the lineup in several different positions. Plus, his speed is something the team wants to use for pinch running when he doesn’t start. Clint Frazier has struggled mightily this spring, but some may be from rust. He has just six hits in 40 at-bats. However, he has had more success at the major league level and cracked a walk-off home run in 2017. Frazier has a lot of power, good speed, and a good glove. But because of his struggles so far, it would be best to start him in AAA to polish up mechanics and work off the rust. The more he plays, the better he should too and the better his stats will be. If Tyler Wade starts this season like he did last season, his time in the MLB may be short and Frazier could come up fast. But, something to watch out for is that Wade is starting to run low on options, and the team needs to limit how freely they send him up and down.